Hammock Camping and Backpacking Gear custom made in the USA. Welcome to Arrowhead Equipment! Home of made in the USA Hammock Camping and Backpacking Equipment. For more than 9 years we have worked to build quality Hammock Gear and Equipment. 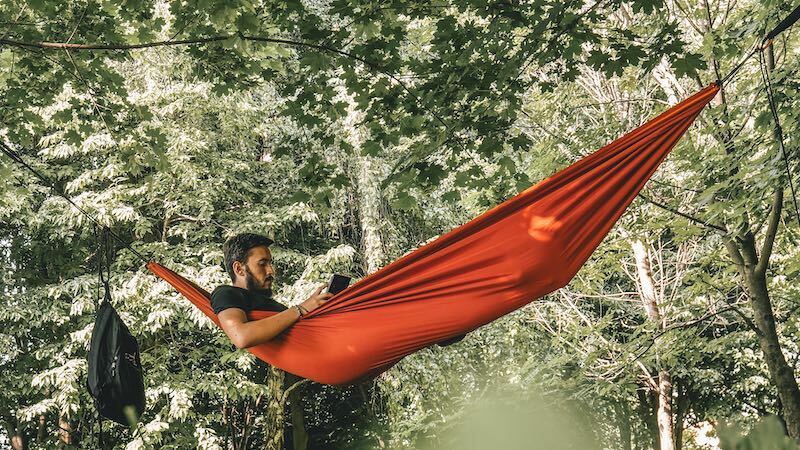 We have been honored to have served more than 18,000 customers worldwide, building for them Hammock Top Quilts and Under Quilts, Tarps, Hammocks, Suspensions and all types of Camping and Backpacking accessories. We are here to help you with all of your hammock camping and backpacking needs. As a small cottage shop, we work hard to build and ship orders out as quickly as possible. Whenever possible we work hard to serve customers on a first come first served manner. We build all of our Hammock Camping and Backpacking gear to order. 1 week for Top Quilts and UnderQuilts, Hammock Tarps and Hammock Camping Kits. Each and every order is very important to us and we will continue to work on getting your order out as fast as possible. Please keep in mind that we are a small shop and do not warehouse any sewn products. What this means to you is flexibility in color combinations, American Made cottage goods but it also means that it will take a little longer to get to your door. * If you need rush service please contact us before placing your order and we will try to fill your order within your time frame if at all possible. From Complete Hammock Kits to ala-cart gear Arrowhead Equipment is here to help with all of the best gear for hammock camping and backpacking. No matter if you are a beginner just looking to try hammock camping for the first time or a seasoned pro we build and stock the widest range of hammock camping gear and accessories in the industry, all of it built right here in the USA. From Tarps to Hammocks to Top Quilts and UnderQuilts for every hammock to Hammock Suspension and accessories. What's happening is a mini blog about whats going on at Arrowhead Equipment and hammock camping training. ​Check it out here (link) to find out about all the updates at AHE as they happen.